The commercial magic of the Spice Girls remains as strong as ever, as Emma Bunton’s ethical baby product business Kit & Kin, was responsible for the fastest raise in the Angel Investment Network’s 14 year history. It achieved its target of £420k in just one week. 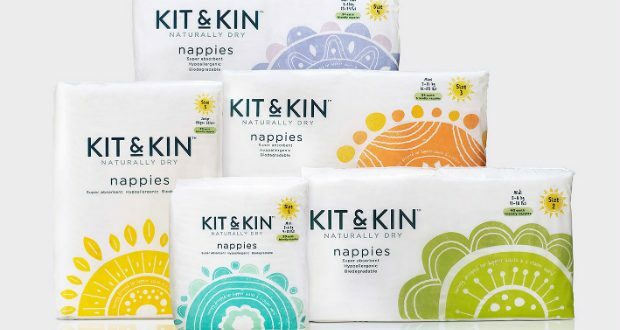 More than £1m was offered in total for her eco-friendly nappies, wipes and skincare business but Kit & Kin decided to only accept £420k at this time, an amount which included a key strategic investor. The raise received unprecedented interest from our 170,000 strong worldwide community of investors. The business was launched in 2016 by Bunton and business partner Christopher Money, with their products available through high street retailers as well as their e-commerce platform. The investment will be used for staff, expansion and stock supply to service larger orders. Money and Bunton will be hoping to emulate the success of another celebrity turned entrepreneur, Jessica Alba, whose business, The Honest Company, floated for just shy of $1 billion in 2017. As a business it has some great fundamentals, but clearly Emma Bunton’s extra spice was a key ingredient. Bunton was famous for promoting girl power and her business was promoted through a new section on our site focused on supporting female founders and investors. This initiative was set up to address the under-representation of women as investors and founders in the industry. Our investor community in the UK consists of around 17,000 angel investors, but less than 10% of these are women. We want to lead the way in tackling this industry problem starting with increasing the visibility of women-led businesses and helping them to find investment and mentoring from investors.